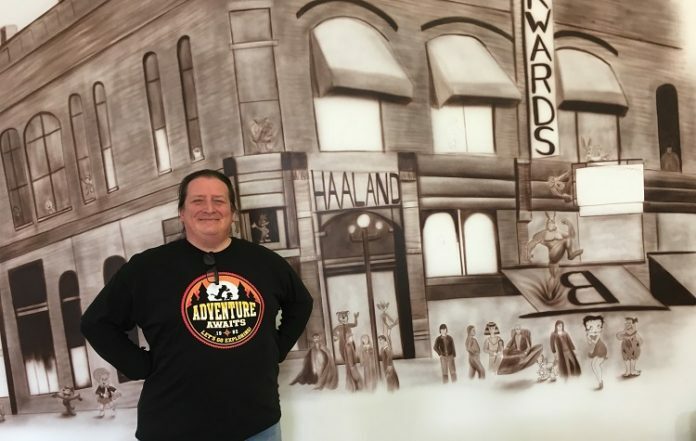 Shawn Palek of Slater, the muralist behind the work in progress inside the Perry Perk coffeehouse, made big strides on his wall of work this week, bringing the Dillenbeck building and Citizens State Bank back to life on the Perk’s southeast wall. 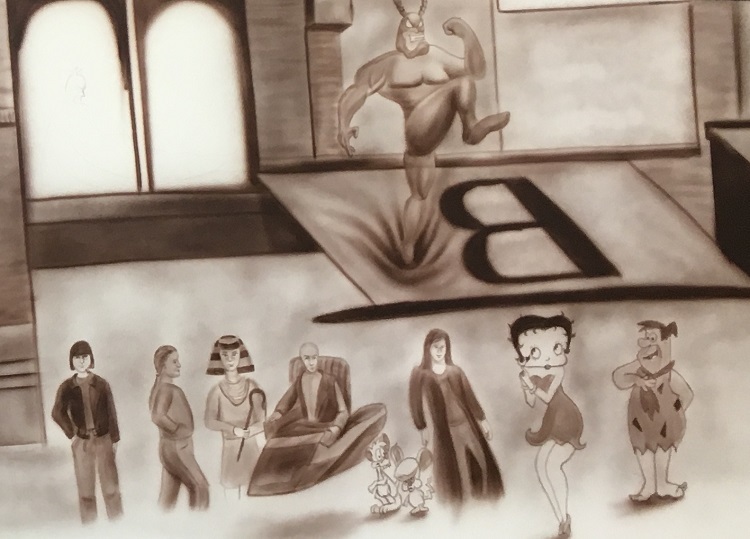 This artist with an airbrush has rendered the 120-year-old building’s Renaissance Revival style and added a fanciful gallery of cartoon characters striking curious poses. Palek said he plans to complete by next week and can be found painting next Tuesday and Thursday.